LaBell Exchange has been Pasadena's trusted source for superior call center and phone answering services since 1975. Our company serves a wide range of businesses and organizations, including service-based companies (HVAC, plumbing, towing, equipment rental, bail bonds), municipal water districts, healthcare facilities, medical/dental offices, attorney practices, and more. We've been recognized by the Association of TeleServices International (ATSI)--our industry's trade association--for our call center's response time, accuracy, courtesy, and overall service, and have been awarded their prestigious Award of Excellence for seven consecutive years. Our call center can cover your phone answering needs 24 hours a day, 7 days a week. We're available for after hours, weekends, and holiday service. At LaBell Exchange, our goal is to provide our Pasadena clients with service that is both professional and personalized. That's why we assign each customer a designated account manager. As such, your assigned account manager will work closely with you to develop a custom script and determine which answering services will best serve and enhance your business. 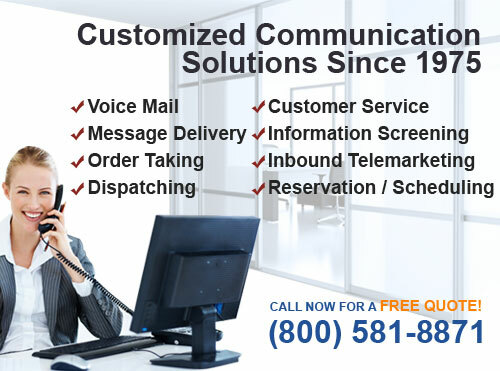 We continually update our systems with the latest telecommunications technology, which gives us the ability to offer the most state-of-the-art phone answering features, such as voicemail trees, advanced message delivery, dispatching, call routing, and more. Our skilled phone operators undergo rigorous screening and training to answer phones and work with callers to take information, schedule appointments/reservations/meetings, and deliver messages. We have several bilingual (English and Spanish) phone operators, but everyone on our staff has access a 24/7 translation line. At LaBell Exchange, each client is provided an individual voicemail account. Your voicemail messages can be retrieved from any phone and at any day or time. We can also customize your account to forward messages or send notifications via text message, email, or phone. Depending on your industry and company size, your voicemail and call center needs will vary. For our Pasadena-based customers, we often incorporate both automated attendant and live operator services into your account. We'll work with you to create a personalized voicemail tree, which can include upfront greetings, informational recordings (about your company, hours, location, etc. ), connections to specific employees/departments, and emergency protocols. At LaBell Exchange, our phone operators are highly regarded for their professionalism, attention to detail, and ability to execute very specific protocols. Trained to handle all kinds of situations, we've dispatched EMTs, fire departments, and response teams in response to emergency alarms or calls as well as tow trucks, plumbers, roadside assistance, and roofers to after-hour service requests. We understand that such calls must be handled with sensitivity and a sense of urgency. We always provide courteous phone answering services for all callers, with the goal of guiding each call to ensure required information is received and the appropriate party contacted for connection or dispatch. We provide full-time, after hours, and emergency dispatching services for our clients in Pasadena, and establish a custom phone answering and dispatching protocol to meet your specific organization's needs. 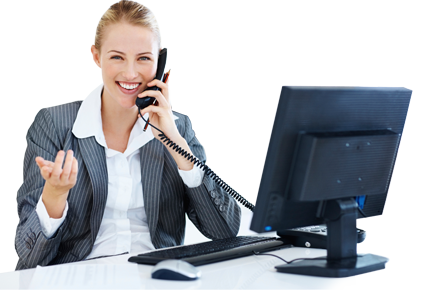 Our company provides virtual receptionist and reservation/schedule management services for our Pasadena-based clients. We've assisted companies on call center projects ranging from retirement/financial planning seminars to hospital flu shot campaigns, and our phone operators are highly skilled in scheduling appointments and reservations. For more comprehensive live operator services, our phone operators can act as virtual receptionists for your Pasadena business. We can present ourselves as a member of your office staff, which is a cost-effective solution for single or start-up organizations that need to present themselves as a larger or more established company. Our virtual receptionist services can be provided during office hours or expanded to include nights, weekends, and holidays. We're renowned throughout Southern California, including in Pasadena, for our exceptional 24/7 call center customer service. Whether you're in the municipal, medical, dental, legal, service, or property management industry, LaBell Exchange provides all of our Pasadena clients with specially tailored telephone answering services. As such, our call center can be used to route calls or serve as your business's customer service department. You can trust our operators to treat each caller with courtesy and respect and follow your pre-approved script. Our call center services include order taking and inbound telemarketing for Pasadena companies. Extensively screened and trained, our phone operators are highly experienced in answering calls, taking leads, and guiding callers through registrations, sign-ups, and orders. To ensure accuracy, our operators speak clearly and always repeat back information. We also provide clients with the option to record calls. For order taking, we can place orders directly into your company's website or system. Alternatively, we can create custom order forms (listing the product, price, shipping/handling/tax, and customer payment information) in our own internal system and submit orders to you or your fulfillment house instantly or in batches, depending upon your preferences. LaBell Exchange's phone answering services include information screening and surveys. We've worked on a wide range of projects, including helping corporations determine caller eligibility for product recalls; assisting attorneys on identifying appropriate individuals for class actions lawsuits; and working with HR departments to screen prospective job applicants. We have almost forty years of experience in the call center industry, and can help your survey and information screening needs in Pasadena. Call us today. 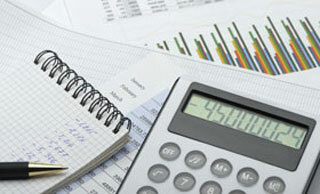 We can record calls and gather data to help you measure overall project performance. Message taking and advanced message delivery are part of the call center services we provide for our customers in Pasadena, California. Our professional phone operators are highly skilled in answering phones, gathering information, and typing messages both quickly and accurately. At LaBell Exchange, we treat each caller with courtesy and respect. To ensure the correct message is received, we always repeat back and verify information that the caller provides. The message can then be delivered via fax, email, text message, or phone.